Tõnu Kõrvits is a rising star of Estonian contemporary music, more and more frequently performed in Estonia and foreign countries. Beside Veljo Tormis’ shamanistic spells, Erkki-Sven Tüür’s energetic explosions and Arvo Pärt’s religious contemplations, Kõrvits’ sound world stands out as highly poetic, full of visionary fantasies. His music carries the listener along on hypnotic journeys through the landscapes of nature and folk tradition, human soul and subconscious. Calm but suggestive melodies in his works are integrated into rich and refined spectrum of harmony and timbre colours. Figurative titles often reflect romantic allegories or mythological imagery: The Detached Bridge; For You, the Messenger of Night; To My Spiritual Brother; The Sign of Love; River of Gratitude; Eldorado; The Blue Gate, etc. In last decade, Estonian folk song and sometimes also other archaic and exotic song traditions have become important as a substance and source of inspiration for the composer. Tõnu Kõrvits graduated from the Estonian Academy of Music and Theatre’s composition department with Raimo Kangro in 1994 and continued in master’s studies with Jaan Rääts. During the studies he also participated in master courses for young arrangers with the Metropole Orchestra and conductor Vince Mendoza (Hilversum, Holland, 1997) and in the master class of composer Stephen Montague (Gdansk, Poland, 1998). Since 2001, he is a lecturer of composition and instrumentation at the Estonian Academy of Music and Theatre. Kõrvits’ plentiful oeuvre includes all traditional genres from orchestral music, instrumental ensembles and works for solo instruments to choral music, solo songs and operas. He started composing in 1990s with works in neo-romantic style including To a Man, In Whose Eyes the Brightness of Polaris Sparkled (1993) for chamber orchestra, Long-Lasting Farewell (1993) for guitar and piano, Rainbird’s Home (1996) for instrumental ensemble, To My Spiritual Brother (1996) for alto flute and guitar, and others. One of the most popular works of this period is the Concerto semplice (1992) for guitar and chamber orchestra. Over time, Kõrvits’ music moved toward more complex textures. Instrumental in this transformation was The Detached Bridge for saxophone quartet and chamber orchestra (1998), inspired by the lyrics of Anna Akhmatova. In the first half of the 2000nds, orchestral works with elaborated and fluid sound canvas were composed, such as The Sign of Love (2002) and Eldorado (2002, inspired by Edgar Allan Poe’s poem). Next orchestral work, The Songs of Survivors (2004) for symphony orchestra interweaved Oriental melodic inflections with Estonian folk melodies. Synthesis of archaic and exotic melodies with subtle colouring and harmonic texture is also characteristic to Kõrvits’ following works – In These Gardens (2004) for alto saxophone and string orchestra, inspired by lyrics of Astride Ivask and bird songs and comprising an Estonian folk tune, the oriental-coloured Safra (2005) for piano and string orchestra, and Tsirgutii (Milky Way, 2005) for flute and string orchestra. In 2000nds, Kõrvits has also composed a series of works reflecting the imagery of the mythical northern land Thule, an archaic prototype of Estonia – such as The Songs from Thule (2002) for flute and piano, and The Songs from Thule II (2004) for trumpet and piano, Pictures of Thule (2006) for piano, Elegies of Thule (2007) for string orchestra, string quartet Thule Patterns (2007), Chorales of Thule (2008) for soprano saxophone and organ, Sketches of Thule (2008) for saxophone quartet and organ, and Helios Helios (2008) for 2 cellos and symphony orchestra. Most of these works are characterized by significant role of Estonian folk song and mythological subtexts. Kõrvits’ poetic idiom has achieved extreme power of expression in his chamber operas My Swans, My Thoughts (2005, libretto by Maarja Kangro after Estonian poetess Marie Heiberg) and Firegarden (2006, libretto by Maarja Kangro). His excellent melodic gift is evident in his numerous and popular works for solo instruments. Last years the composer has been moreover focused on vocal and choral music being still inspired by Estonian and Northern traditional culture. He has composed some remarkable works including Kreek’s Notebook (2007) for mixed choir and string orchestra, based on Estonian sacred folk tunes (collected by noted Estonian choral composer Cyrillus Kreek) and Hymns from the Western Coast (2009) for mixed choir and saxophone quartet, based on Estonian-Swedish folk chorales. In addition to writing contemporary compositions in the classical idiom, Tõnu Kõrvits is known as an accomplished arranger and orchestrator of popular music. 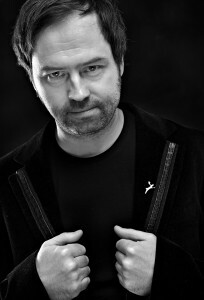 He was a nominee for the Estonian Music Award ’98 in the Best Arranger category. He also has composed soundtracks for documentaries, puppet and animation films; the most popular of the last is Priit Tender’s film Viola, which has won several international prizes. Mati Laas’ puppet film Kings of the Time was named the best Estonian film of 2008. Besides Estonian festivals (NYYD Festival, Estonian Music Days, Estonian Composers’ Festival etc), music of Tõnu Kõrvits has been performed at several festivals including ArtGenda (Copenhagen, Denmark, 1996, Rainbird`s Home), Usedomer Musikfestival (Germany, 1999), Lockenhaus Chamber Music Festival (Austria, 1999, For You, the Messenger of Night, commissioned by the festival), World Saxophone Congress (Montreal, Canada, 2000, Assignation), Europamusicale (Germany, 2004, Afterglow), Musica nos unit (Gdansk, Poland, 2004, Wildflower; premiere of Wild Birds), Mänttä Music Festival (Finland, 2005, Safra, commissioned by the festival), International Guitar Festival Münster (Germany, 2006, The Songs on the Bridge of Encounters, commissioned by the festival), World Music Days (Hong Kong/Macau, 2007, Beyond the Solar Fields), Cellissimo (Adelaide, Australia, 2008, Helios Helios, commissioned by the festival), Lux Musicae (Siunto, Finland, 2009, Voice that Disappeared, commissioned by the festival), Les Boreales (Caen, France, 2009, music for Carl Dreyer’s silent feature film La Passion selon Jeanne d’Arc), World New Music Days (Zagreb, Croatia, 2011, Canon) and International Music Festival “The Seasons” (Moscow, Russia, 2011, Safra). In 1994, Tõnu Kõrvits’ Concerto Semplice for guitar and chamber orchestra was chosen to represent Estonia at the UNESCO International Rostrum of Composers in Paris. The Sign of Love for symphony orchestra participated at Rostrum in Vienna, 2003. The Days of Glory for two orchestras and percussion represented Estonia in the Millennium Project of the European Broadcasting Union (EBU). In 2010, Baltic Elegies for choir and bassoon was premiered by the Bellingham Chamber Chorale and bassoon soloist Martin Kuuskman under the conduction of Timothy Fitzpatrick in Bellingham, U.S. as a commission of the choir. In 2011, Sung into the Wind received a splendid performance at the studio concert of the BBC Symphony Orchestra conducted by Neeme Järvi. In the same year, Hymns to the Nordic Lights was commissioned by NYYD Festival and premiered by Britten Sinfonia under the conduction of James MacMillan in Tallinn. Kõrvits’s “Songs of Song of Songs” was chosen to represent Estonia at the World Music Days in Vancouver in 2017. Kõrvits’ works belong to the repertoire of the most important Estonian orchestras and artists including Estonian State Symphony Orchestra, Tallinn Chamber Orchestra, Tallinn Sinfonietta, Nyyd Ensemble, saxophone quartet SaxEst, conductors Neeme Järvi, Olari Elts, Anu Tali, Tõnu Kaljuste, Risto Joost, Arvo Volmer, Paul Mägi, Vello Pähn, Lilyan Kaiv and Erki Pehk, pianists Mihkel Poll, Age Juurikas and Marko Martin, organist Ulla Krigul, saxophonist Virgo Veldi, bassoonist Martin Kuuskmann, flutist Monika Mattiesen, soprano Iris Oja, etc. In 2003/2004 concert season, Kõrvits was a composer-in-residence with the Estonian National Symphony Orchestra. Kõrvits’ music has also been performed by numerous foreign artists and collectives, such as the BBC Symphony Orchestra, Frankfurt Radio Symphony Orchestra, Britten Sinfonia, Macao Symphony Orchestra, Nordic Symphony Orchestra, Krasnoyarsk Symphony Orchestra, Bilkent Symphony Orchestra, Adelaide Symphony Orchestra, Tyrolean Symphony Orchestra Innsbruck, “The Seasons” Moscow Chamber Orchestra, Ohio Northern University Symphony Orchestra, Ferenz Liszt Chamber Orchestra, Symphony Orchestra of Malmö Music Academy, St. Christopher Chamber Orchestra Vilnius, St. Michel Strings (Finland), mixed choir Cantemus (Hungary), Swedish Radio Choir, Bellingham Chamber Chorale (USA), conductors Vladislav Bulakhov, Neil Thomson, Donatas Katkus and Esä Heikkila, choral conductors Timothy Fitzpatrick and Lloyd Butler, Ensemble de Basse-Normandie, EU Saxophone Orchestra, Amstel Saxophone Quartet, Firebird Ensemble, guitarists Reinbert Evers and Klaus Jäckle, mezzo soprano Orna Arania, pianists Takahiro Akiba and Niklas Pokki, violinist Manfred Gräsbeck, cellist Anja Lechner, mandolinist Alison Stephens and many other musicians and collectives. As a talented and prolific creator, Tõnu Kõrvits has gained recognition from the Estonian state and cultural institutions a number of times. He was awarded the Heino Eller Music Prize in 2001, the Young Artist Prize by the Board of the President’s Cultural Foundation in 2002 and the Annual Prize of the Endowment for Music of the Cultural Endowment of Estonia in 2004 and 2014. Kõrvits’ symphonic work Eldorado won the Third Prize at the International Lepo Sumera Composition Contest for Young Composers in Tallinn in 2003. In 2006 he received Cultural Endowment’s Live and Shine grant, in 2007 was awarded the Annual Music Prize of the Estonian Music Council for his contribution to Estonian orchestral music, in 2011 and 2016, the Cultural Prize of the Republic of Estonia and in 2014, Prize of the Estonian Music Days Festival 2013. Tõnu Kõrvits was recognised by Estonian Choral Association as the Choir Composer of the Year 2014, Estonian Public Broadcasting chose Kõrvits as the Musician of the Year 2015. Composer’s CD “Moorland Elegies” was given the Estonian Music Award in the category of Classical Album of the Year 2017. Since 2015, Tõnu Kõrvits is an honorary citizen of Clarksdale Mississippi for his music through which he has brought honor to Clarksdale, The Delta and to the preservation of the Blues. In 2016, Kõrvits was given the Order of the White Star 3rd Class. In 2018, Tõnu Kõrvits was given the Lepo Sumera Award for Composition.